You have a dog, and you only want to give your dog the best. And if you are a billionaire, you don't mind spending a few thousand on your pet. 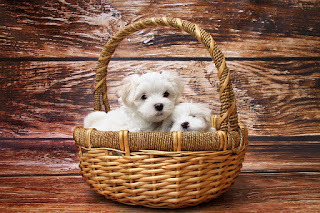 Your dog deserves the best so here are the best of the best. Your dog will really appreciate a Cape Cod Cozy Cottage Kennel Dog House, which is hand-crafted by the Amish in the United States. The price is a reasonable $5,671.07. Your dog will look beautiful wearing a Tsavari 'Monarch' White Sapphire Dog Collar. This gorgeous Pearlized Mirabella lambskin collar features 48 carats of flawless white sapphires hand cut in 'Hearts and Arrows' and is available for $9,399.00. You dog needs to sleep comfortably. Comfort Nest Memory Foam Bolster Dog Bed will provide the relaxation that your dog needs. The price is just $1,967.98. You dog needs to say warm. Consider an East Side Collection Acrylic Spirit Dog Sweater for $978.81. You still have a few days left to do your shopping. Whether you are looking for presents for yourself or another person, there are plenty of moderately priced gifts available for the billionaire. Buy now before they are sold out. 1. It would be nice to own an original PeopleMover from Disneyland. Price just $471,000. 2. It's time for a Rolex Cosmograph Daytona Ice Blue Dial Platinum Mens Watch. Price only $57,000, marked down from %75,000. 3. Maybe you can start your own country on your own private island. The Rangyai Island located in Thailand, is available for only $160,000,000. 4. Diamonds are a girl's best friend, and blue sapphires may be a girl's second best friend. How about a Platinum Cushion Cut Blue Sapphire and Round Diamond Pendant for only $117,033, marked down from $234,066. 5. Owning a two letter dot com domain name would be great. At $875,000, PT.com would have been a bargain. 6. How about this crib? The Scarface Mansion had a price drop of $23 million. How About an Island for a Gift? Have you ever wanted to get away from the crowds? Or how about a unique vacation? Or maybe you are just looking for the perfect gift? What's better than a private island. 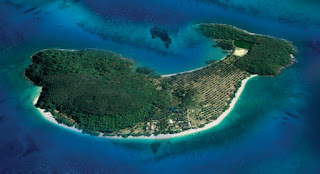 There are still many islands throughout the world that are privately owned and are available for purchase. Here are a few examples. Rangyai Island is located in Thailand. This white sand beach island has 110 acres. The price is a reasonable $160,000,000. For more information, go to PrivateIslandsOnline.com. Looking for an island in the United States? Check out Pumpkin Key in Florida, near Miami. This 26 acre island features a three bedroom three bathroom home with a couple cottages. The price is just $110,000,000. For more information, go to vladi-private-islands.